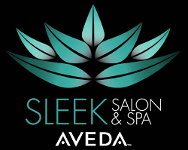 Sleek Salon and Spa uses a blend of natural moisturizing oils to enhance the nourishment of your skin. Our exfoliating seaweed mask helps soften and detoxify by making this our most moisturizing manicure and pedicure available. Your cuticles are then treated with a rich body cream that comforts and soothes. For each client, we will customize your fabulous pedicure and manicure. During your spa nail service, your fingers and toes will be massaged, exfoliated, masked and wrapped to provide hydration. Lastly, your nails will be buffed and polished to perfection with nail polish.